As a halo product designed not to sell in large volume, but to showcase the upper-end of the technical abilities at Panerai, the 2018 L’Astronomo Luminor 1950 Tourbillon Moon Phases Equation Of Time GMT is one hell of an horological product. 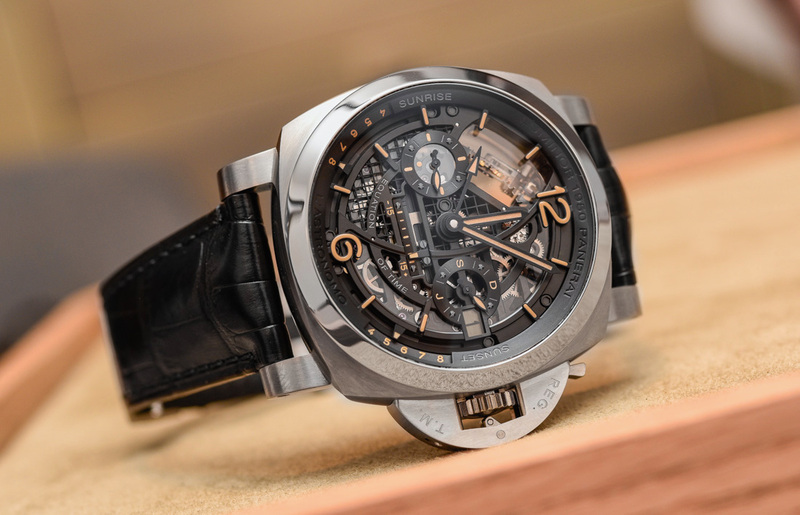 Referenced as the Panerai PAM00920 (PAM920), this $200,000+, 50mm wide mega watch is something we’re sure you’ll want to know about (even if only a precious few will be able to afford one). 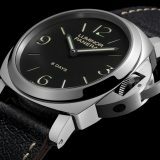 The base caliber and concept behind the Panerai L’Astronomo is derived from a model released by the brand a few years ago in 2010. 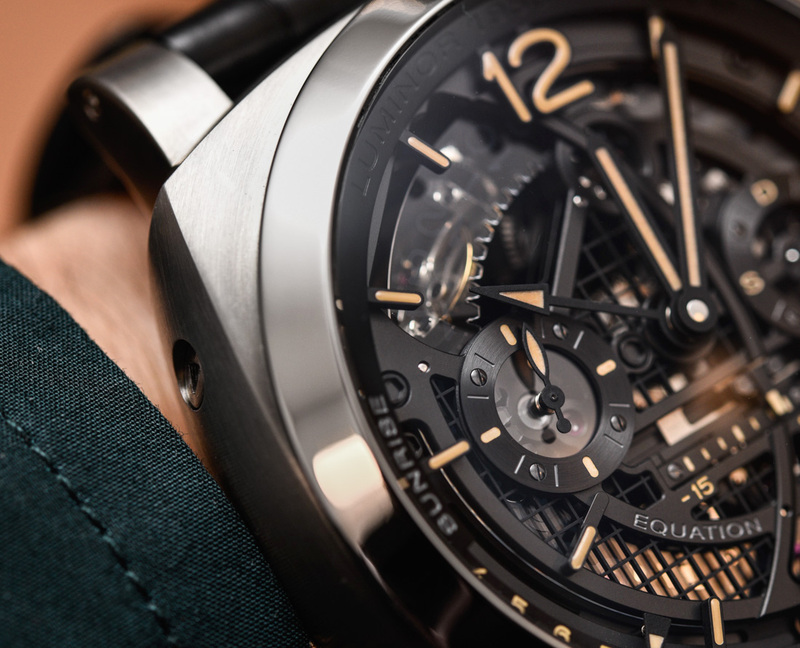 This new model is more than a fresh aesthetic offering but features changes to the movement as well as a new opportunity for brand fans to discover the top-end of what Panerai can produce. 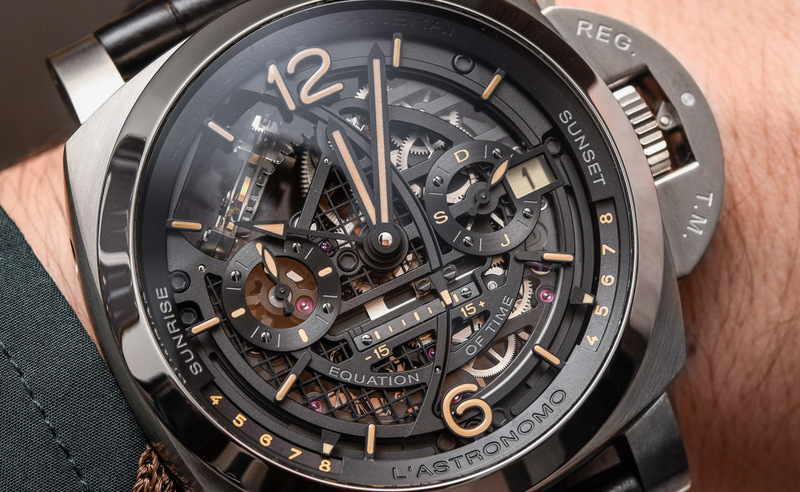 Mind you that the mega-complex L’Astronomo is a far more complicated “haute horology” product from the makers of normally very elegant and often simple Italian-style sport watches. 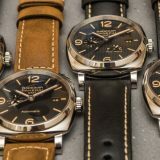 I say all this because while it certainly fits within the core Panerai timepiece theme, it is in many ways a separate type of product when compared to the majority of what Panerai is known for producing. 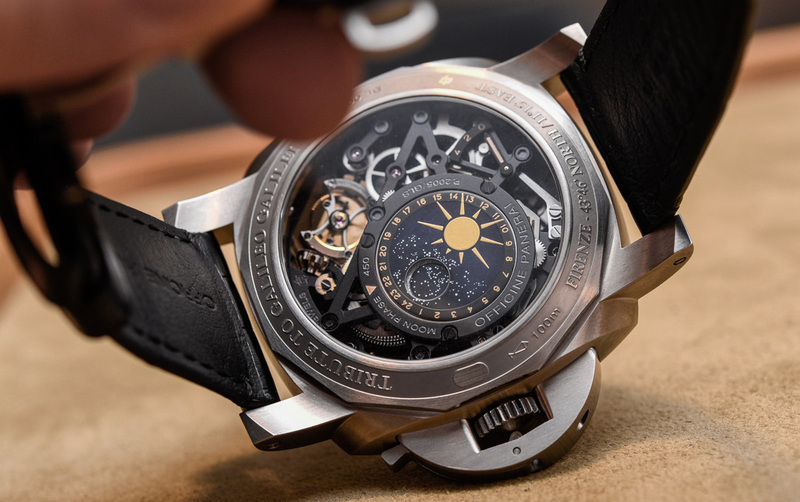 When Panerai first came out with the L’Astronomo Tourbillon, they claimed that it was inspired by Galileo Galilei (for obvious astronomical reasons). 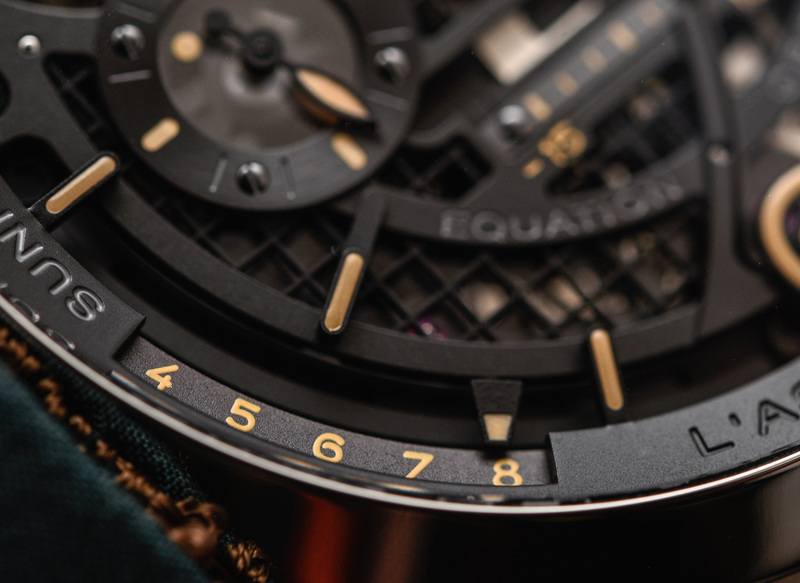 The astronomical functions of the watches aren’t easily apparent when viewing the front-side of the watch save for the equation of time complication. Of course, there are the sunrise and sunset indicators on the periphery of the dial that require at the least a complex calendar complication. Turn the PAM920 over on its rear and you’ll see one of the newest elements of this watch, which is a moon phase indicator – that is different from the previous 2010 model’s star chart. 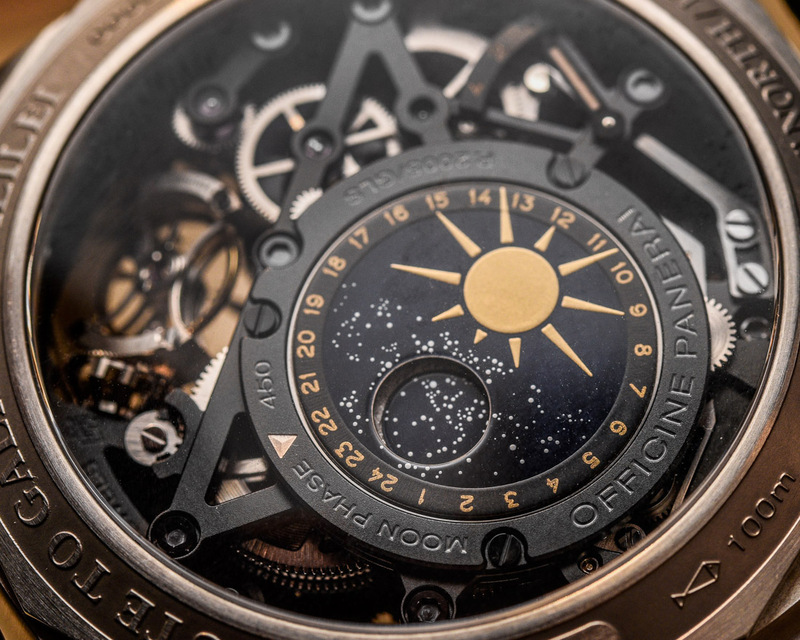 Opposite a representation of the sun, the moon phase disc itself is beautifully detailed and also turns every 24 hours as an additional indication of the time. 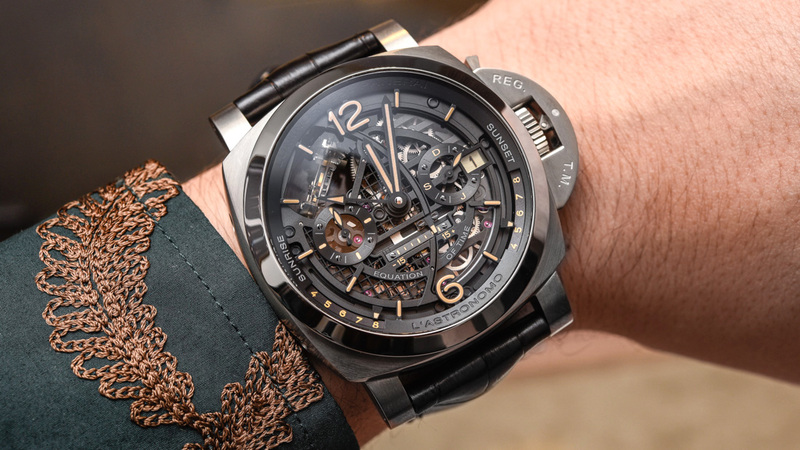 Panerai produces the complicated lattice work on the skeletonized dial of the L’Astronomo Luminor using 3D-printed titanium. They say that it’s the only way to achieve the desired level of quality and precision. 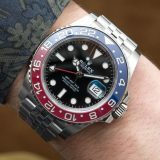 It isn’t necessarily apparent to most people on these watches, but if you ask yourself “how did they produce that?” in the watch world, you’ll often be left guessing since exotic production techniques are sometimes used for such exotic products. Even though the PAM920 doesn’t fit the mold of most Panerai watches, it still uses a (large) Luminor 1950-style case and dial that keep it solidly within the brand. 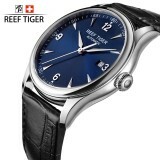 Speaking of the dial, we have more complications to look at including the time with subsidiary seconds dial, second time zone hand (in 12-hour format), month indicator, date (more on that in a moment), and as I said, an equation of time and sunrise/sunset indicators that both use nifty linear scales. It is important to consider that all of the Panerai L’Astronomo Luminor 1950 Tourbillon Moon Phases Equation Of Time GMT watches will be produced on order. One of the biggest reasons for this is the sunrise and sunset indicators. 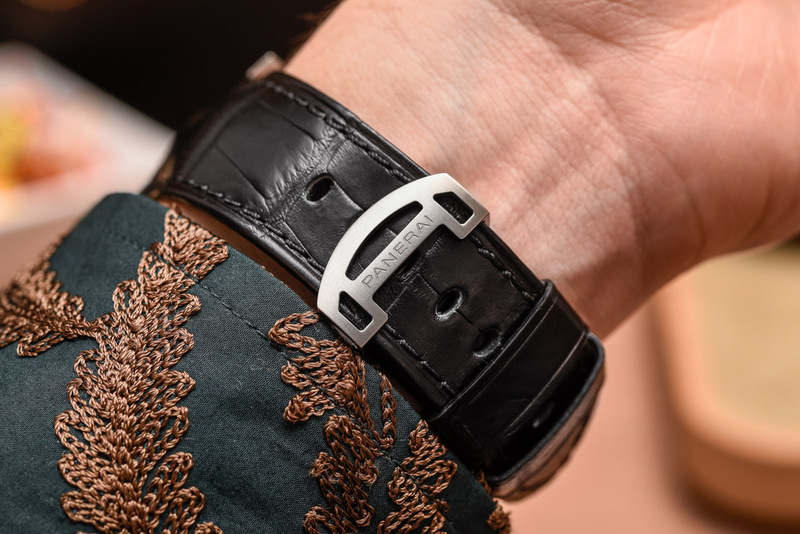 These features need to be calibrated to a particular part of the world (only digital watches with these complications can be adjusted for different cities – in other words, different longitude and latitude coordinates). So what Panerai does is have the customer select which city he or she wants the sunrise and sunset information to correspond to. 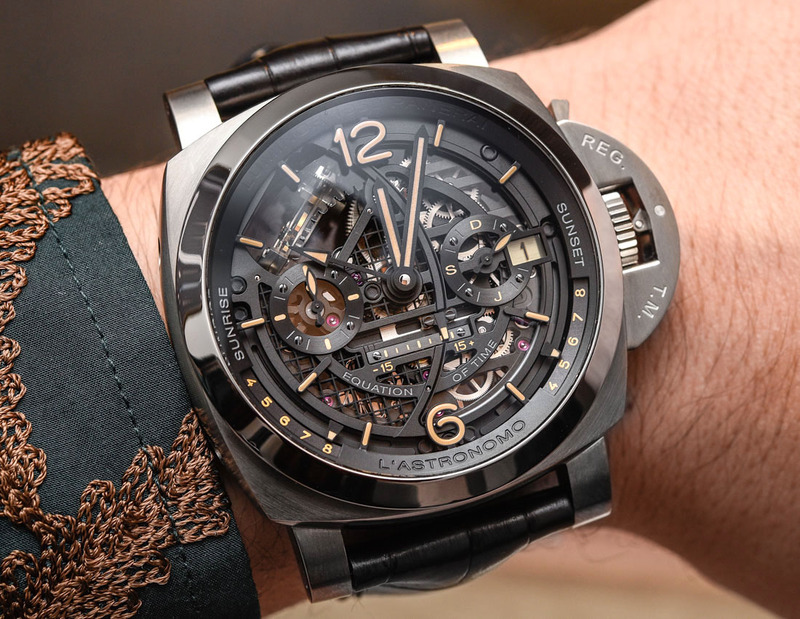 Panerai makes a big deal out of the date indicator. Why? 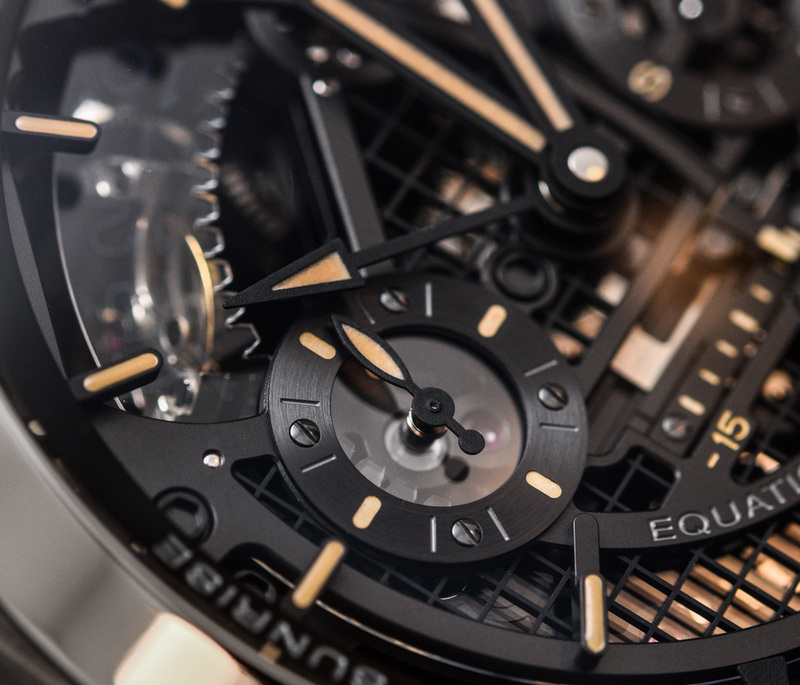 The reason is because if you look closely, you’ll notice that while you can see the date numeral in the date window, even though the dial is skeletonized you cannot view the date wheel. Cool right? 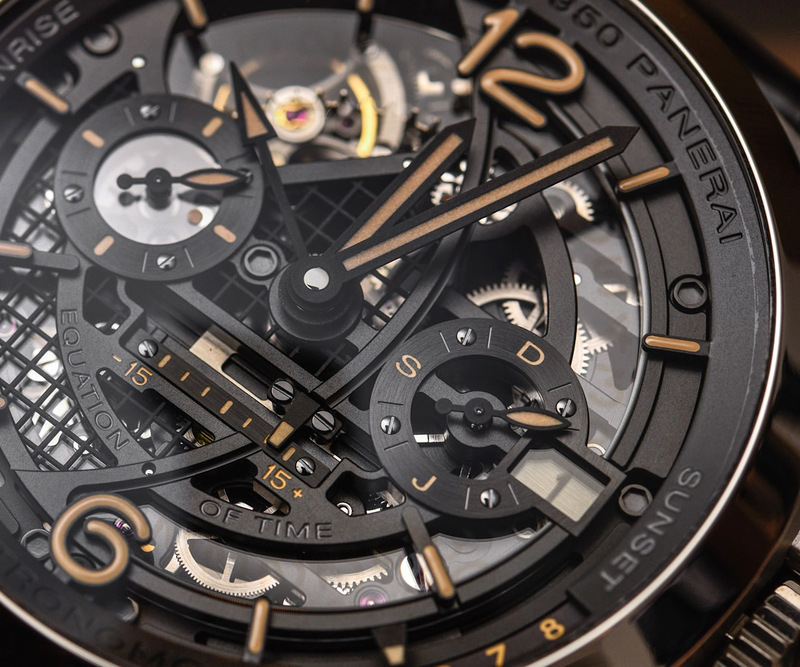 That’s because Panerai designed a system using two sheets of polarized glass – with one of those sheets being the date disc itself. Right over the date window the polarized planes overlap in a manner so as to allow for half of the light of the lower disc to enter and thus, you can see the date. Given how polarization works the date disc appears almost invisible everywhere else. 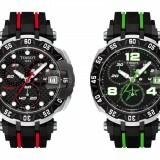 As well as its high quality watches and instruments, its conquest of luminescence signalled its superiority in the field. 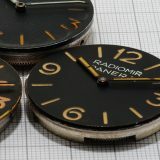 The two Panerai watches it called in honor of the luminescent materials that made them glow in the dark – Radiomir and Luminor – are still the only two versions the brand produces today, excepting the occasional re-edition of the Mare Nostrum, L’Egiziano plus some collectors’ pocket watches.The Panerai saga started in 1860 at Florence when Giovanni Panerai opened a very small watch shop on the Ponte alle Grazie spanning the Arno River. The bridge has been destroyed in 1944 by retreating Germans, but the first 13th century bridge – at that time the earliest and longest bridge at Florence – had small shops on it, much like the Ponte Vecchio does today. Giovanni’s Orologeria was the first clock and watch shop in Florence and marketed imported Swiss pocket watches. As related in Giampiero Negretti’s excellent book on Panerai’s history, pocket watches were sent from Switzerland unassembled, requiring the Florentine entrepreneur to invest at a workshop and learn the tricks of the trade.As purveyors of the finest Swiss watch brands, Giovanni’s descendants, Guido and Giuseppe Panerai, struck gold once Italy’s Regia Marina, or Royal Navy (1861-1946), contacted them for precision pocket watches and chronographs, many of these modified by Panerai watches to fulfill the Navy’s requirements. From the start of World War I, Panerai was creating sophisticated made-to-measure precision instruments for the Italian Navy. It is almost easy to forget that the in-house made and developed Panerai caliber P.2005/GLS manually-wound movement also has a tourbillon. 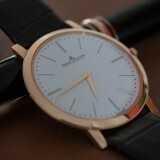 Alas, it was developed at a time when pretty much all “mega luxury” watches needed to have tourbillons. These days the tourbillon isn’t exactly passe, but its appearance as an exclusive status symbol has certainly lost a lot of weight. The tourbillon in the P.2005/GLS is actually somewhat novel because of the axis that it spins on. 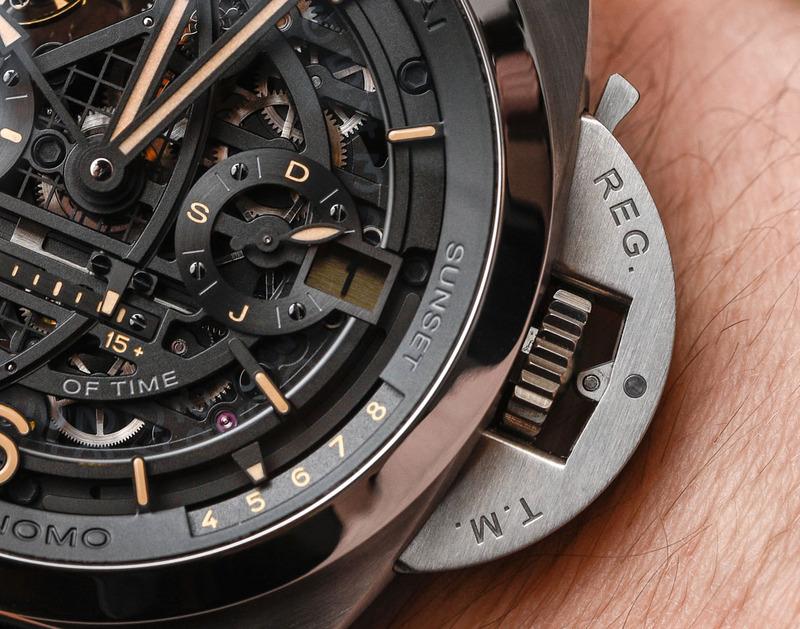 Rather than spin on the tourbillon cage’s vertical axis, the tourbillon in this Panerai watch spins on its horizontal axis. I also like that this is among the rarer 4Hz (28,800bph) tourbillon movements as opposed to 3Hz, which is the frequency most tourbillon balance wheels operate at. The movement further has four days of power reserve (with a handy indicator on the rear of the watch) and is produced from 451 parts. 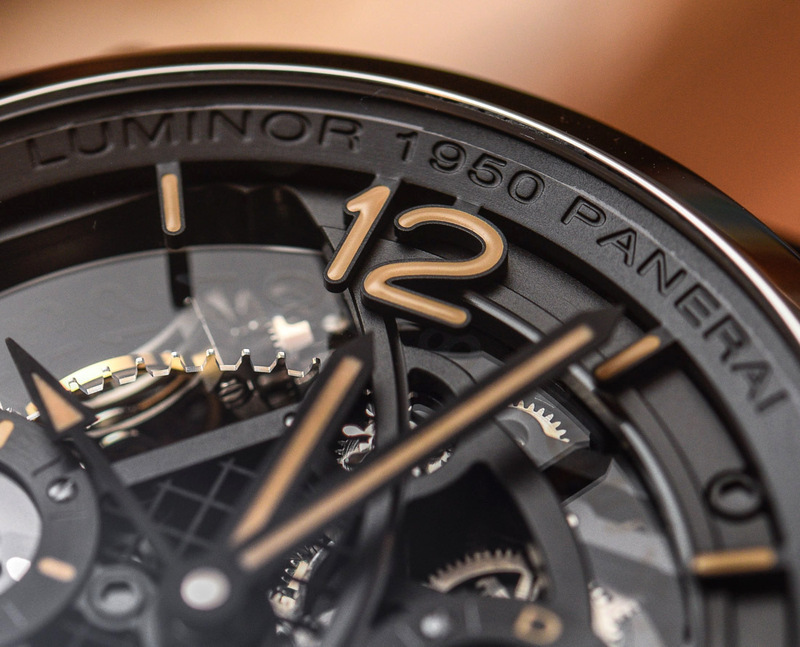 Given that each L’Astronomo Luminor 1950 Tourbillon Moon Phases Equation Of Time GMT timepiece is “made to order,” Panerai can also customize the case material, finishing, and even the dial and hand colors. 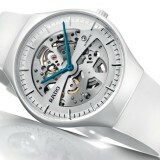 What they can’t do is make this big watch any smaller if you aren’t into a 50mm wide case. 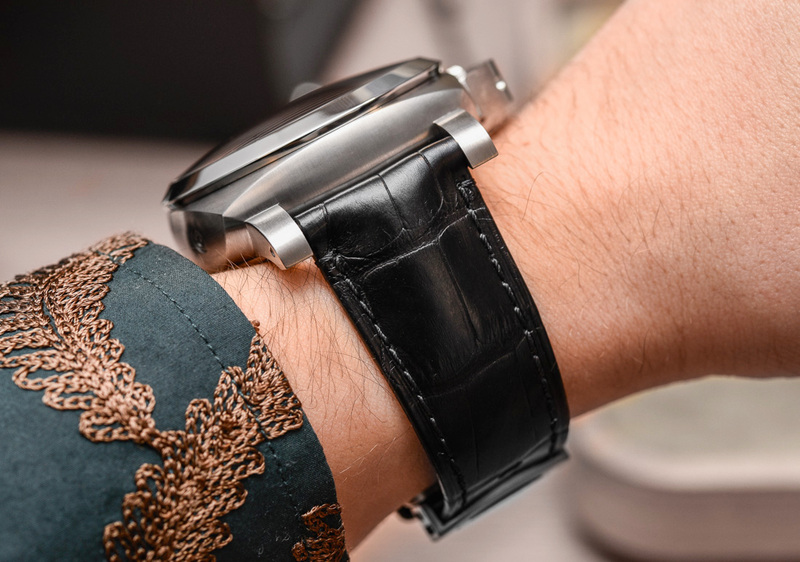 In this form the case is in polished and brushed titanium – and it looks lovely with great quality. 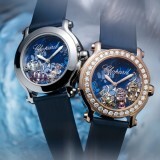 The case is also water-resistant to 100m – making it at least somewhat durable like a Panerai watch should be. Ironically, even some Panerai “sport watches” are only water-resistant to 30m (even though the brand’s entire theme is Italian dive watches). Previous story Apple Watch Edition Series 3: Is The Ceramic Case Worth It?